Hello, my name is duder. You knew this would happen, didn't you? I did. Brad and I have survived all the way until episode number seven! We talk about the great flick, The Horrible Secret of Dr. Hichcock, directed by Riccardo Freda. Do we like that one or hate that one? You'll just have to listen to find out. You can download or listen right here at Podomatic. Or you can download the episode right here from Mediafire. We would love to hear comments on the episode or just tell us how you are planning to destroy us! Either way, leave comments here or at our Facebook page. As usual I haven't even heard of this film before, but I learned that that doesn't really matter to enjoy the show. Downloading now! @MLP - Thanks, duder! I hope you dig it and I implore you to track down Freda's The Horrible Secret of Dr. Hichcock. It's really good. One of the handful of Eurohorror films that has eluded me to this day, alas. 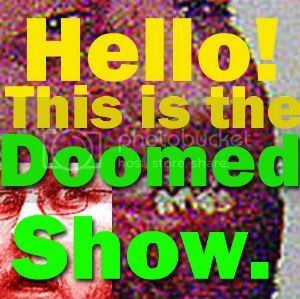 @Will - When we recorded this episode of the show, the film was still in 9 or 10 parts on Youtube and now I can't friggin' find it. If you want a copy of this one, email me. Another great and entertaining episode, Richard (and Brad)! 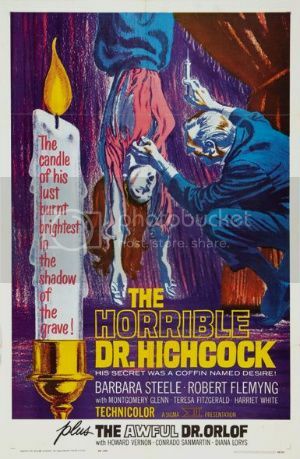 For anyone interested in finding a copy, Sinister Cinema has this dubbed in nice quality under the title of THE TERROR OF DR. HICHCOCK. @Aaron - Thanks a bunch, duder! Brad says thanks too! @venoms5 - Nice work, captain. Thanks for the heads up.